MCT Welcomes another giant of the sea. 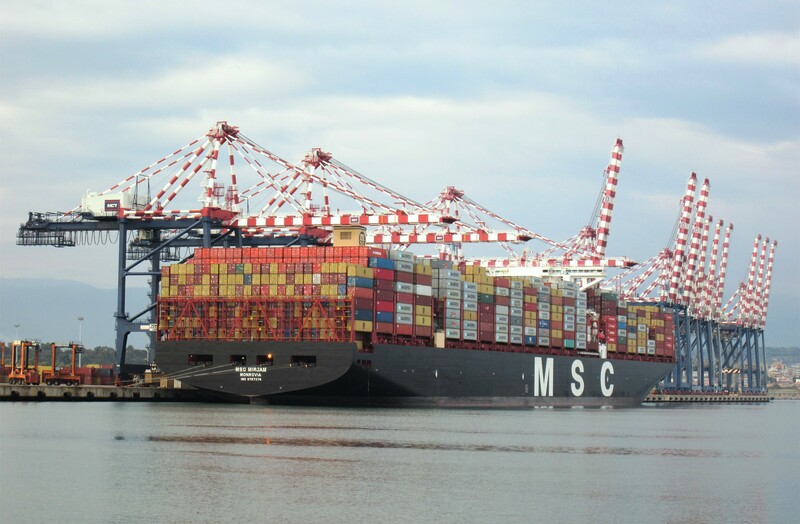 Last month Contship Italia’s premier hub port, Medcenter Container Terminal in Gioia Tauro, welcomed the ultra large container ship MSC Erica, the biggest container ship to call in Italy. Well, hot on the heels of that success, MCT this time welcomed her sister, the MSC Mirjam. Like her sister, she is operated by MSC and was also built in 2016 by Daewoo Shipbuilding & Marine Engineering, South Korea. Measuring 400m in length, 59m in width and a deadweight of 202,376 tons, the MSC Mirjam has a capacity of 19,224 teus. Upon successful completion of operations, including loading across to the 23rd row, she sailed on time for Asia. Check the Connectivity Tool to discover more about MCT maritime connectivity.